The most fun bit is that, at any point, you can pause the game, and alter the key elements of it – you can even go in and change bits of code, within certain parameters. Let me provide some much needed context by way of the platformer. The demo platformer level is clearly drawing from your classic 90s platformers (lava; rocks; temple ruins; very green grass) and calls upon you to collect some golden pineapples while small dinosaurs with big heads frustrate your efforts. If you put your avatar into the map set up for racing (a futuristic cityscape with wide looping roads) but say you want to play platforming in it, the game will know to populate the map with jumpy bits that take a different route to the cars. 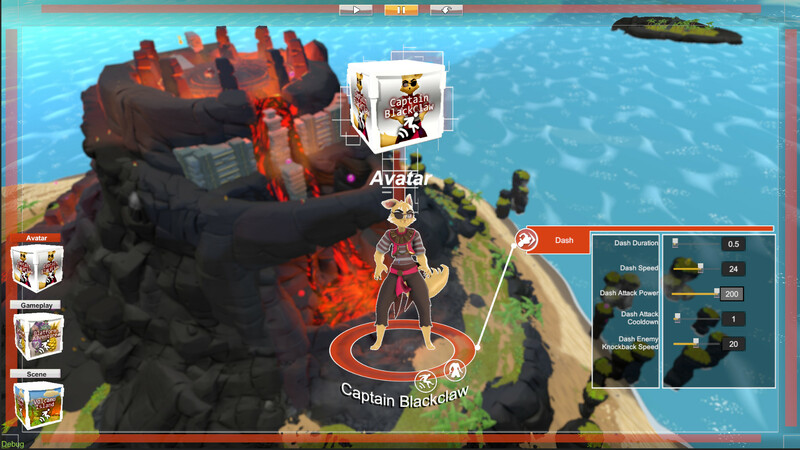 You can mash up the three key elements – avatar, map and game mode – like this in a bunch of different combinations. But then you can also change finer details about the key elements, and see that change instantly when you restart the game. I didn’t actually get on with the platforming that well, because I thought the jump was way too floaty. But I can change the jump. Here, it seems to me, is a game at least in part dedicated to doing the sort of ridiculous thing that players try to do in Bethesda’s games, but on purpose rather than by accident. This is very fun – though open to the argument that The Endless Mission could be full of janks on release and disguise it with the nature of the game itself, much like the original is-it-a-bug-or-a-feature-game Skyrim. 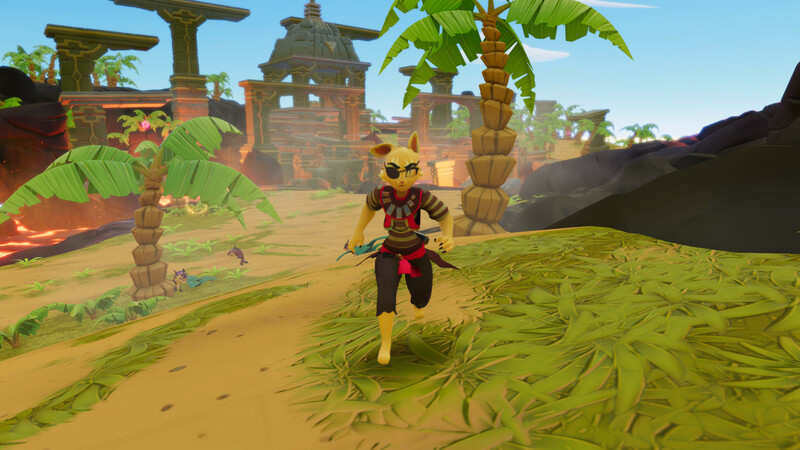 But post release the devs E-Line Media are planning to support the game by adding new genres for free, and community tools for players to build their own mashups and share them with everyone. Though now, after having played it, I cannot help but think that encouraging players to tinker around in the code of your game is open to being a recipe for disaster. – Change the gravity from normal (-9) to the opposite so your avatar just floats into the air, forever, until you hit the ceiling of the game and the game breaks, but the dev is okay with this because he says “We’re really embracing that whole ‘is it a bug or a feature’ thing,” and encourages you to keep trying stuff and see if you can fix it again. 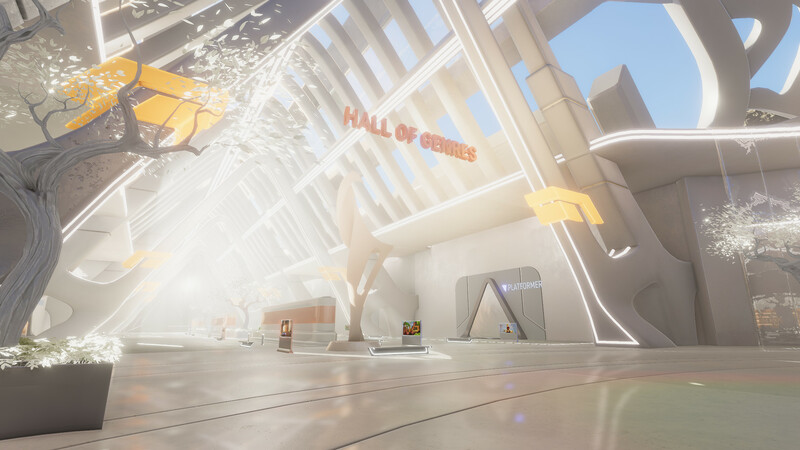 Tagged with E-Line Media, EGX 2018, feature, preview, The Endless Mission.